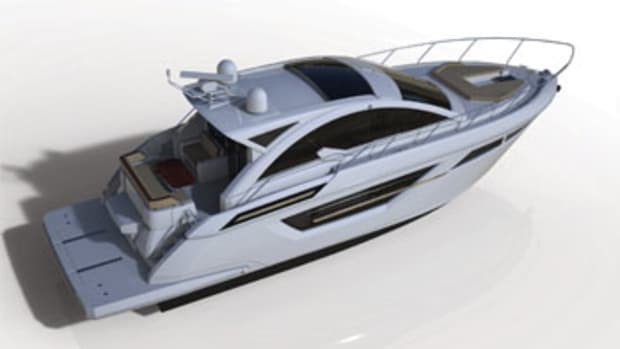 Beneteau has added a fifth yacht to its fleet of semiplaning trawlers. 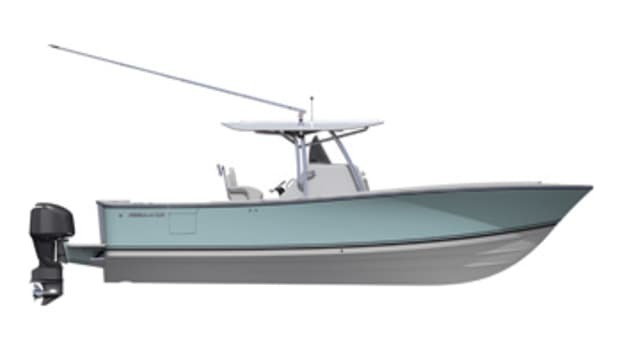 The Swift Trawler 30 becomes the smallest boat in the European builder’s lineup, which includes two 34-footers (a flybridge and a sedan model), a 44 and a 50. I had an opportunity to walk through the boat at the Yachts Miami Beach show in February. 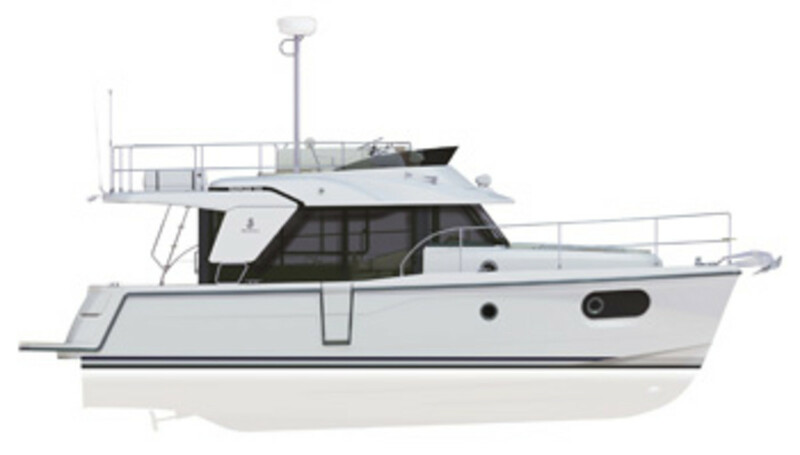 Beneteau has done a commendable job of outfitting this pocket trawler with the accommodations and conveniences of a larger cruiser in a spacious, clutter-free layout. The boat I looked at had a single forward stateroom and a dinette settee that converts to a berth. Headroom in the stateroom measures 6 feet, 4 inches. 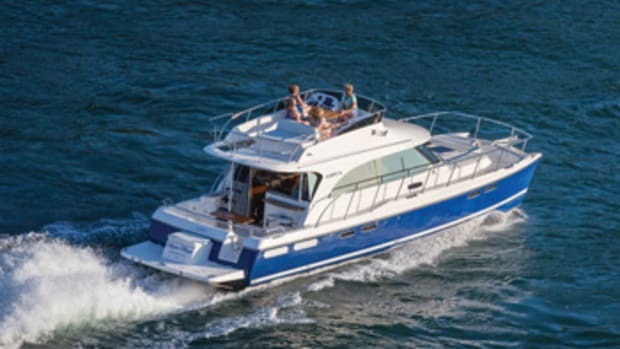 Large hull-side windows with integrated opening portholes draw in natural light and fresh air, and it’s easy to get in and out of the double berth via steps sandwiching the center island. A head with vanity and sink to starboard and a shower stall to port fill the cabin’s aft portion. Behind a destroyer steering wheel, the starboard helm station gives the driver clear 360-degree sightlines. There’s quick access to the starboard sidedeck through a sliding pilothouse door. The pilothouse layout, with its port-side galley and starboard L-shaped settee with table, affords a clear view to the cockpit through three glass doors. 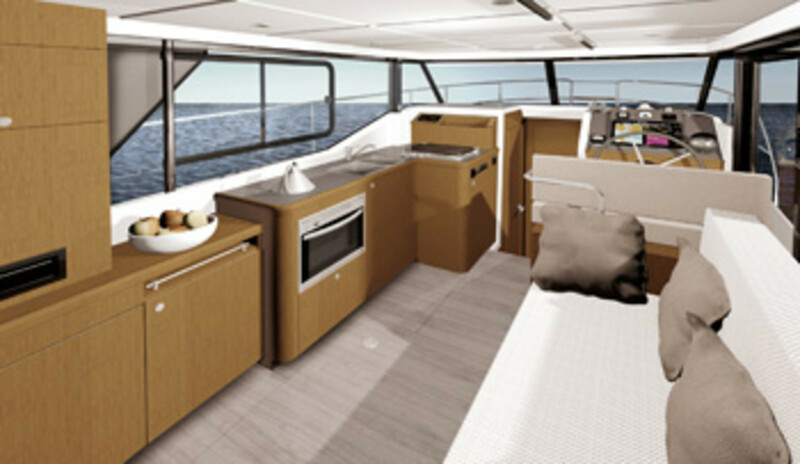 This is a full galley, with a double sink, two-burner cooktop and enough counter space to prepare a meal. Center and port-side pilothouse doors slide to starboard, turning the deckhouse interior and cockpit into one big space. 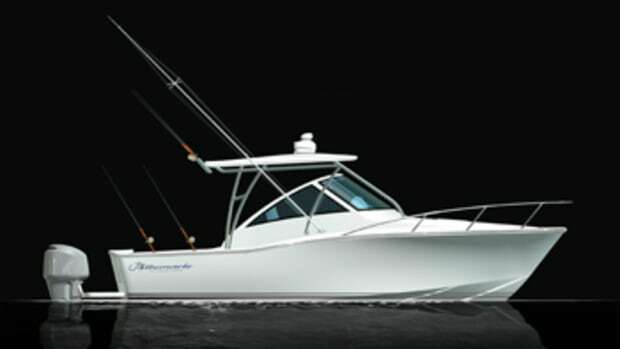 A three-panel transom door opens up the cockpit to a large swim platform. Fold-down seats recessed on the inboard sides of these doors add to the clever design, which maximizes space. High rails guide you forward along the deep sidedecks and around the bow’s perimeter. Access to the flybridge is via a starboard ladder in the cockpit, which has wide steps and beefy, stiff handrails on each side. 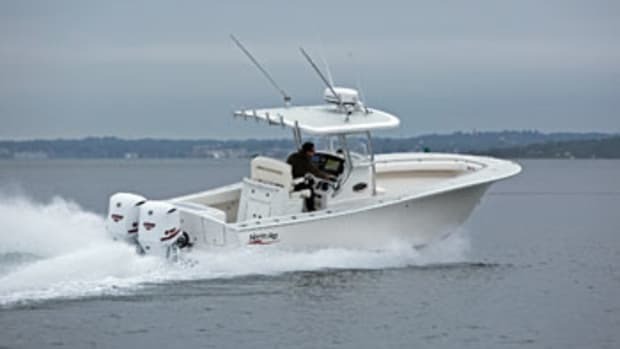 The ladder hinges forward and can be secured against the pilothouse to free up deck space. On the flybridge, a C-shaped port-side settee faces the starboard sit-down helm, and there is a swiveling cocktail table between them. 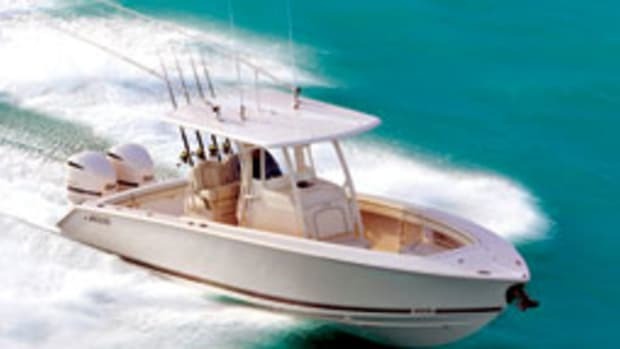 A nearly waist-high rail rims the flybridge. 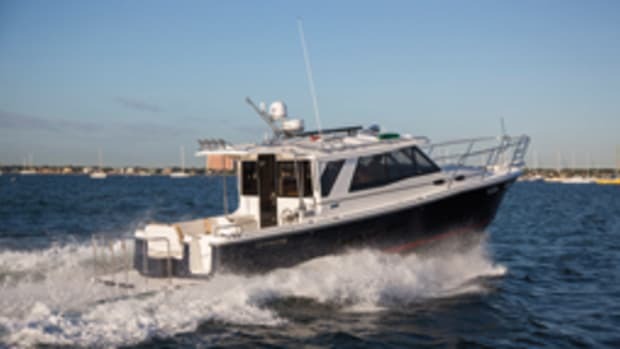 With a single 370-hp diesel, the Swift Trawler 30 can reach a top speed of about 23 knots and cruises at about 15 knots. It has a range of about 200 nautical miles.